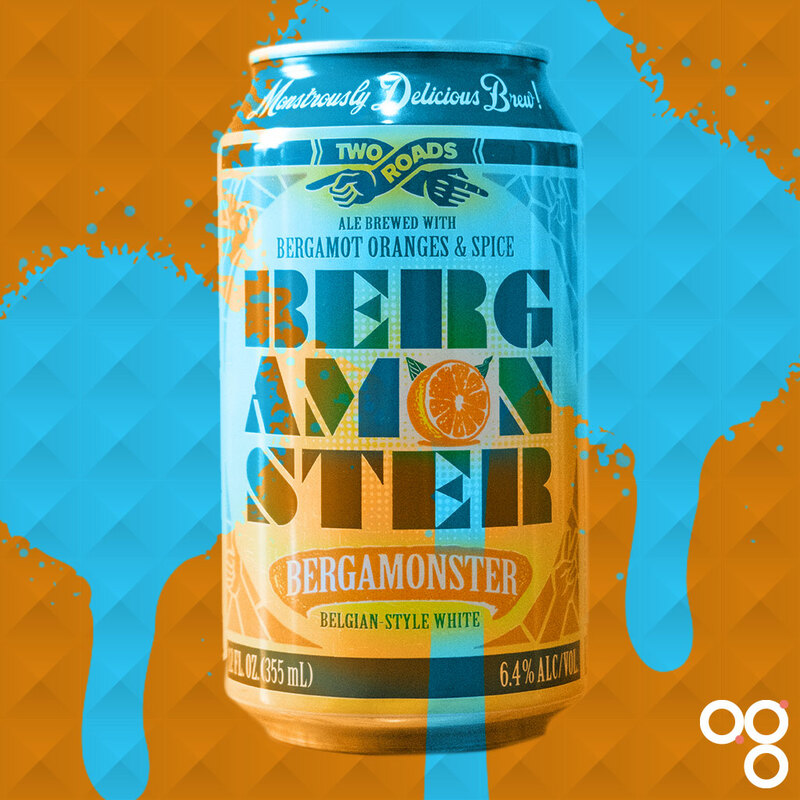 Here’s your cheat sheet for Bergamonster by Two Roads Brewing Company. I like the name – top punnage etc – but it doesn’t do the beer justice. It’s not a monster. It’s balanced and considered. It’s not flash or showy. The flavours aren’t huge or overpowering. They’re gentle and just right. Featured in BeerBods Plus box 6. Find Two Roads Brewing Company on Twitter at @2RoadsBrewing and on Instagram at @tworoadsbrewing. Serve this beer between 4°C and 7°C; stick it in the fridge for a good couple of hours. This beer is almost saison-like with its spritzy champagne mousse carbonation. In other ways it’s channeling classic witbier. The orange and bergamot come through well, subtle but clear over the bready malts, then there’s spicy coriander and white pepper yeast over a pleasantly drying finish. It’s very nice, and very drinkable too. The Belgian yeast character is elevated by the citrus. The bergamot doesn’t feel like a gimmick – it feels right in this beer. The brewers say this is made using raw wheat and a combination of new and old world hops. I wish I knew which ones. This beer will be great with lighter seafood dishes. Steamed mussels would be a classic pairing and a pretty safe bet. Something with prawns or langoustines would work well I think. Squid and calamari too should go well. Perhaps a cream or butter sauce with some herbal notes to accompany the seafood and maybe some leeks. Read more on this beer from BeerBods and Two Roads Brewing Company. You can also check out some of the previous cheat sheets if you want to catch up on a beer from past weeks.